I have always been great with kids and pets and had kids and animals drawn to me. 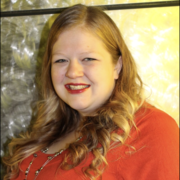 I have a Bachelors in Child Development and Speech Language Pathology as well as certifications as a Newborn Care Specialist, doula, and I am a certified sleep coach. I have over 10 years experience as a nanny for a variety of ages though my certifications and continuing education have specifically focused on newborn and toddlers, my degree included a lot of school age training so I am comfortable with planning age appropriate activities for all ages. I also have 7 years experience doing in and out of home pet care for a variety of breeds and temperaments. I love working with children and being a part of the family so that parents can be their best selves and trust that their children and/or animals are in loving and capable hands when they are Read more not there. I love spending time outdoors with kids exploring, planning arts and crafts, sports, and adventures throughout the Twin Cities. I am happy to provide references and a background check. I look forward to speaking with you!